"deliberately complex in terms of geometry. 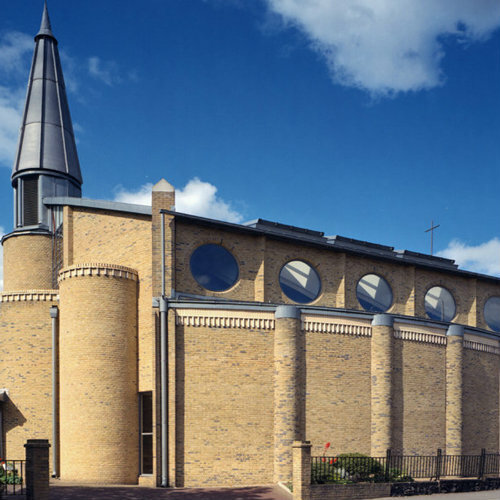 The intention is to achieve a sense of celebration"
The parish church of Our Lady and St George, Walthamstow, London was destroyed by fire in April 1993. The Practice was appointed as architects for a new building. 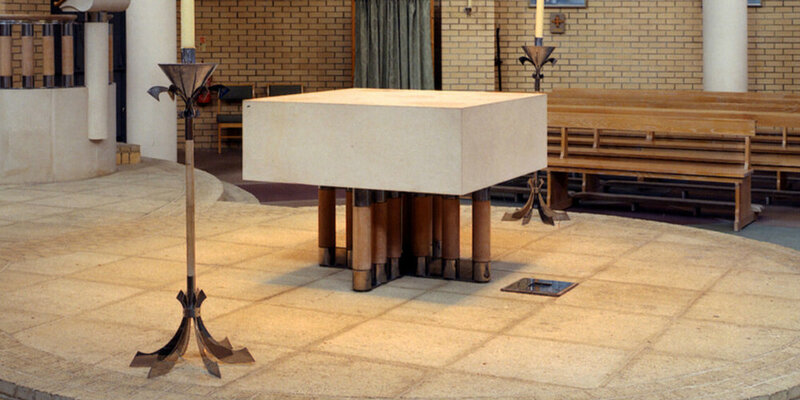 The design is innovative in both terms of the liturgy and environmental control. 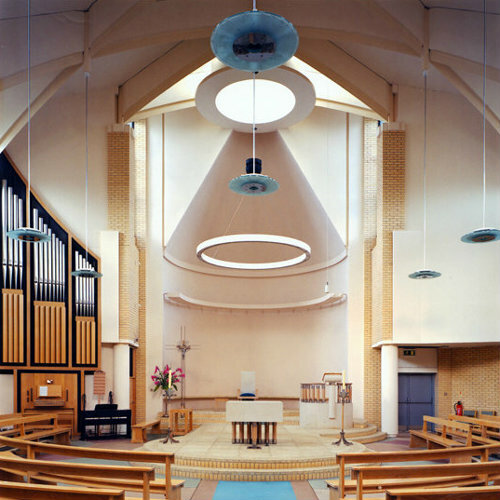 The spire, which stands above the baptismal font, is used as a device to induce passive ventilation. 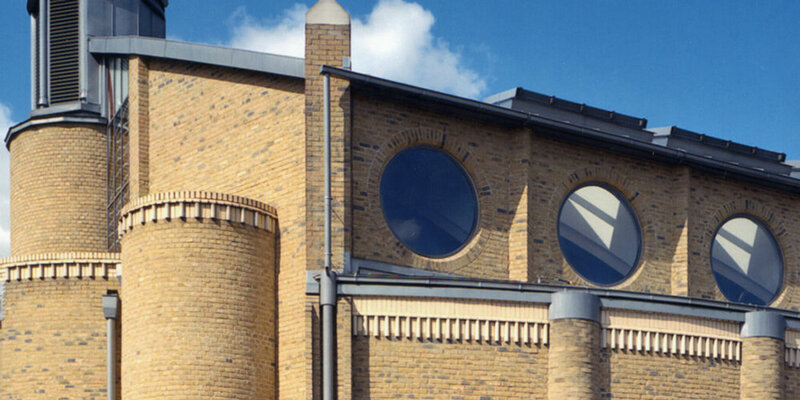 The design for the church is deliberately complex in terms of geometry. The intention is to achieve a sense of celebration without recourse to decoration, and to provide an environment in which both joyful and reflective worship have a place. 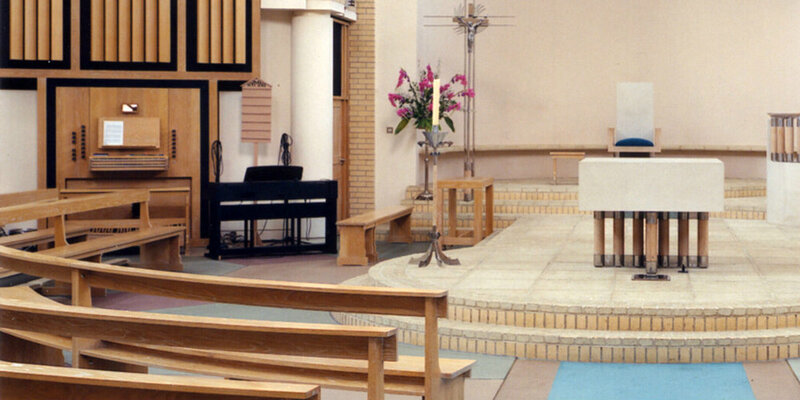 The liturgical furniture for Our Lady & St George was also designed by Inkpen Downie, and we co-ordinated the commissioning of artworks and new glass.